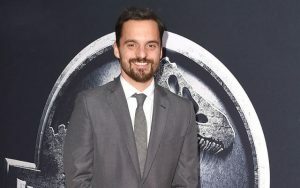 Netflix is set to introduce a new adult toon on its service named Hoops, which will star New Girl’s Jake Johnson. Hoops centers around a hot-headed, foul-mouthed high school basketball coach who thinks turning around his sub-par team will take him to the “big leagues”. Johnson, who has starred in New Girl, BoJack Horseman and Spider Man: Into the Spider-verse, will voice the character of Coach Ben Hopkins and executive produce. The 10 x 30-minute title was created, and will be written and executive produced by Ben Hoffman. He will be joined by executive producers Phil Lord and Chris Miller (The Lego Movie) and Seth Cohen. Hoops hails from 20thCentury Fox Television and Bob’s Burgers animation house Bento Box. Netflix has had some success with its adult animations. Recently the title was named as one of the most-demanded titles in Italy, according to Parrot Analytics.